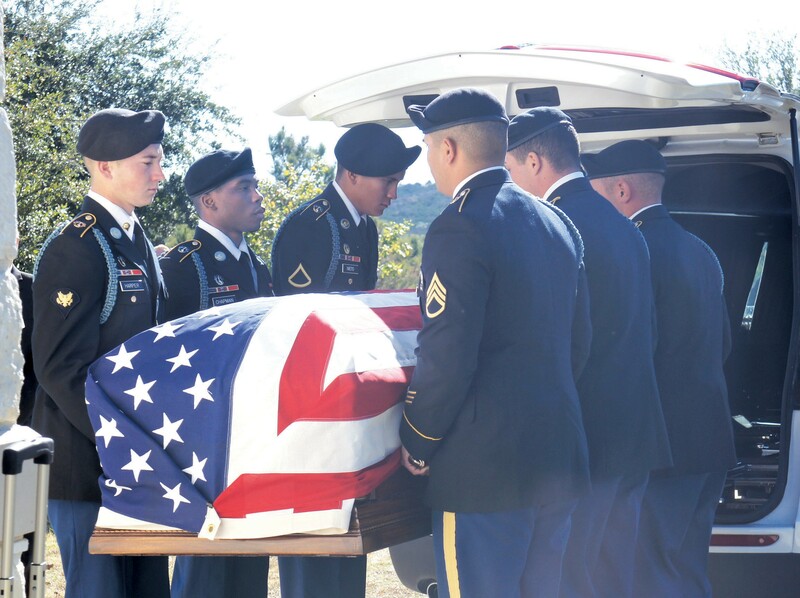 Sergeant First Class Billy David Hill was finally laid to rest at the Central Texas State Veterans Cemetery in Killeen on Thursday, Dec. 17. Hundreds turned out for the emotional ceremony, including some members of the Poteet High School Class of 1965. It would have been Hill’s 69th birthday and nearly 48 years since he went Missing in Action in Vietnam. See related story in the Living section, 7B.